Fr Raymond McIntyre shares a scripture reflection for the 12th Sunday in Ordinary Time (19th June 2016) entitled 'You are the Christ'. Fr Hugh O' Donnell SDB shares a scripture reflection for the 10th Sunday in Ordinary Time (5th June 2016) entitled 'Come dance with me'. Fr Paddy Hennessy shares a scripture reflection for the Feast of the Most Holy Trinity which is celebrated on 22 May 2016. The Holy Spirit cannot be bottled or canned! Fr Martin Loftus SDB shares a scripture reflection and an Ascension blessing for the Feast of the Ascension (8th May 2016). Sr Sarah O'Rourke FMA shares a scripture reflection for the 5th Sunday of Easter (24th April 2016) entitled 'Opening the door of faith'. Fr Eunan McDonnell SDB shares a scripture reflection for the 4th Sunday of Easter entitled "Why do we have to call you Father..."
Fr Michael Scott SDB shares a scripture reflection for the Third Sunday of Easter (10th April 2016) entitled 'To profess one's faith takes courage'. Fr Dan Carroll SDB shares a scripture reflection for the Second Sunday of Easter also known as Divine Mercy Sunday entitled "My Lord and my God". Fr Val Collier SDB shares a reflection for Palm Sunday (20th March 2016) entitled "How do we know what love is?" Fr Dan Devitt SDB shares a scripture reflection for the 4th Sunday of Lent (6th March 2016) entitled 'Reconciliation'. Fr Richard Ebejer SDB shares a scripture reflection for the Third Sunday of Lent (28th Feb 2016) entitled 'We have a compassionate God'. Michael O'Sullivan shares a scripture reflection for the Second Sunday of Lent (21 Feb 2016) entitled 'The big picture becomes clear'. Fr Koenraad Van Gucht SDB shares a scripture reflection for the 5th Sunday in Ordinary Time (7th Feb 2016) entitled 'Jesus teaches us how to live'. The staff and students of the St. John Bosco College, Kildysart, Co. Clare reflect on Don Bosco and how his life has influenced their lives today. Fr Pat Egan SDB shares a scripture reflection for the 4th Sunday in Ordinary Time (31st Jan 2016) which is also the feast day of St Don Bosco. Young people from Salesian Oratory in Malta share what the Oratory means for them today in terms of being a place of work, prayer, study and play. 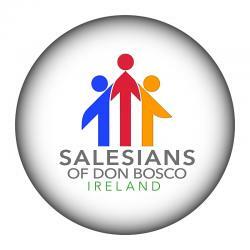 Students and Teachers from Salesian College in Celbridge reflect on Don Bosco’s life and their experience of Salesian Spirit and Don Bosco as a perfect friend.